Jack Rogers, Willard Kinzie and Barrie Collegiate Band, W.A. Fisher prepare to address a crowd at the Allandale Train Station before departing on a band trip. Home/Jack Rogers, Willard Kinzie and Barrie Collegiate Band, W.A. 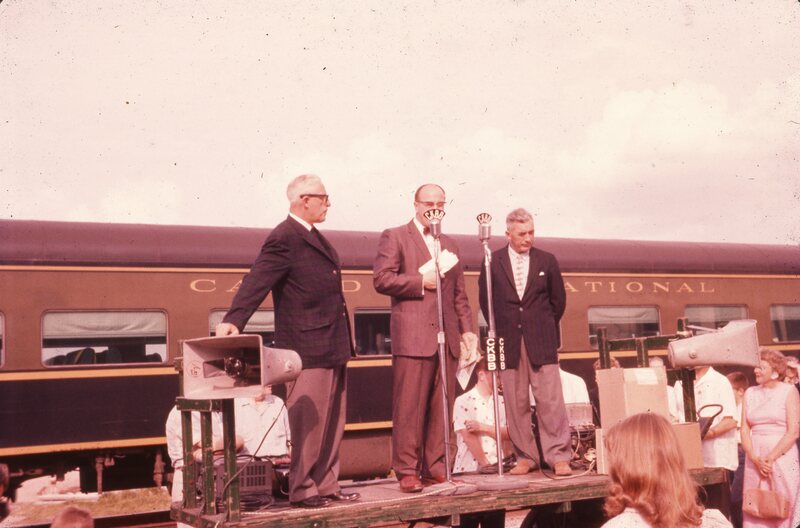 Fisher prepare to address a crowd at the Allandale Train Station before departing on a band trip. Tags: Allandale Train Station, Band Trip, Barrie Central Band, Jack Rogers, Speech, Train, W.A. Fisher, Willard Kinzie.